Jim Beam - DoubleTake Design, Inc. 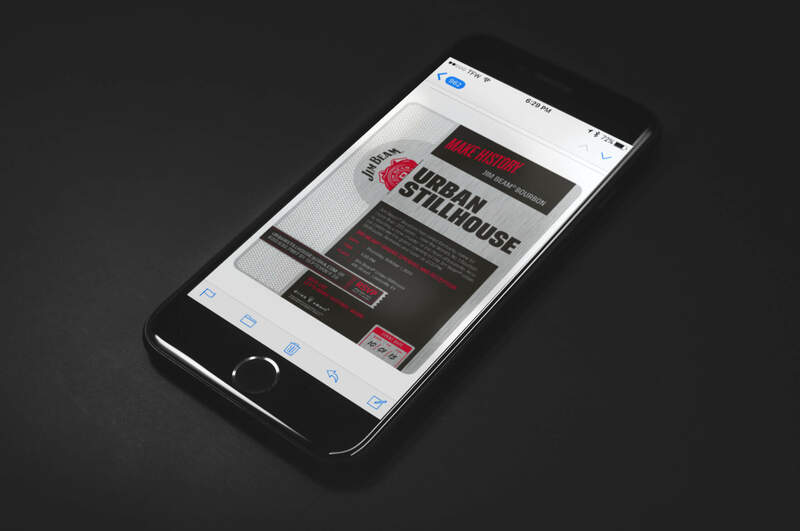 The $5.2MM Jim Beam Urban Stillhouse project was to be a premier tourist destination on 4th Street in downtown Louisville, Kentucky including a working still and bottling line as well as a consumer tasting venue and retail experience. To launch the Stillhouse, our friends at JSH&A were charged with creating a buzz for a Grand Opening Celebration that would include Beam employees, sales/distributor representatives, VIPs from relevant industries and networks (tourism/travel, spirits, Beam family members, government officials, KDA, DISCUS) and consumers. The design of the building includes bold signage that combines urban sophistication with rural heritage, and the front of the Stillhouse profile is made of a 75% closed perforated metal. 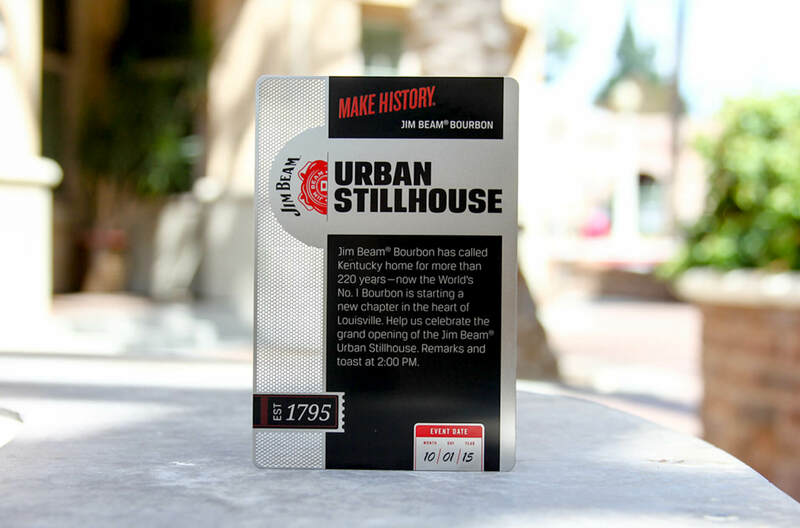 A special Urban Stillhouse Select “Steel Stamped” Kentucky bourbon was developed for the Stillhouse, with deckled-edge labels that wrap around the bottle with hand-stamped bottling information and a wax-seal logo. 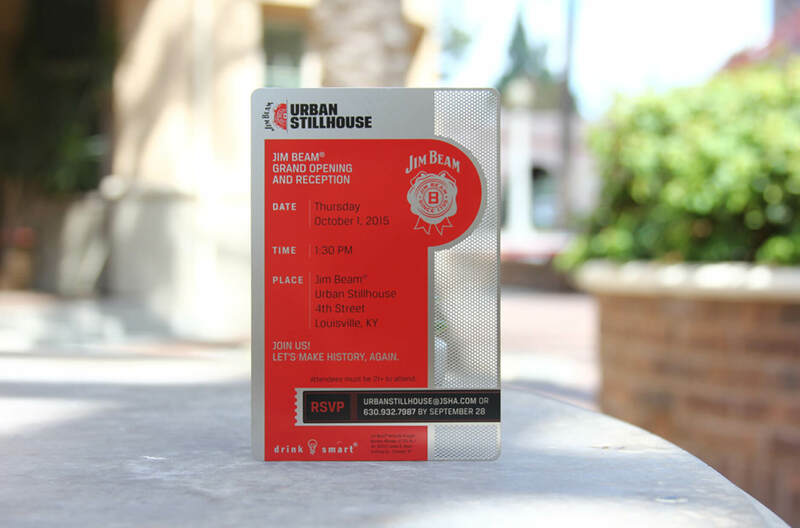 Our job for this event was to convey some of this historic, handcrafted feel along with the industrial, modern touches in the architecture of the building in a special invitation and signage, while working within the Jim Beam brand guidelines. 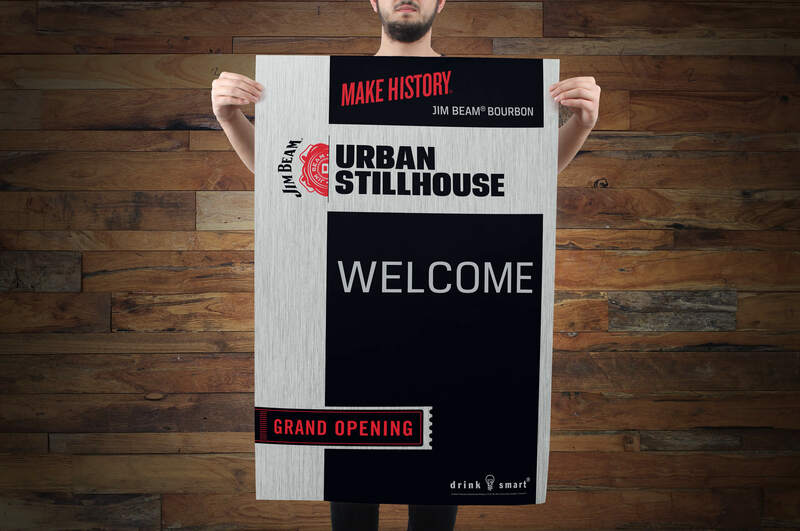 We were provided with architectural renderings of the Jim Beam Urban Stillhouse and the new Urban Stillhouse Select “Steel Stamped” Kentucky bourbon bottle, and were inspired by the perforated metal on the building signage, as well as the deckled-edge labels that wrapped around the bottle with hand-stamped bottling information. We brought this vernacular into our designs for the event. 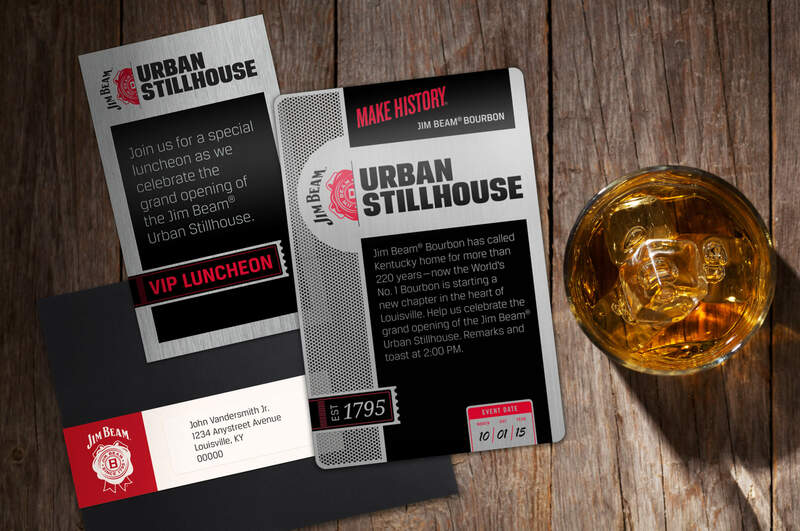 The invitation we designed was silkscreened on a custom die cut sheet of metal and mailed in a black envelope with a label that wrapped around it, like the labels on the Stillhouse bottle. Other special touches include the event date mimicking the bottling date on the bottle and the pattern of the metal stamping that matched the signage on the front of the Stillhouse building. Because a small quantity of the VIP invitation and event signage were printed, we made them look like metal even though they were printed on paper. Want to make your next event historic?